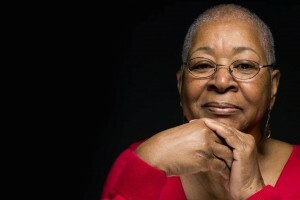 SHREVEPORT, LA — Doratha “Dodie” Smith-Simmons, an early member of the New Orleans chapter of the Congress of Racial Equality (CORE) and a participant in the Freedom Rides of 1961, will speak at Centenary on Tuesday, January 22, during the College’s annual Dream Week. Dream Week is a celebration of the legacy and achievements of Dr. Martin Luther King, Jr. Smith-Simmons will speak at 11:15 a.m. in Centenary's Anderson Auditorium. Smith-Simmons was born in Benton, Mississippi and moved to New Orleans with her family in 1945. She attended New Orleans public schools and later graduated from Southern University. Smith-Simmons was originally inspired to join the struggle for African-American civil rights by her sister Dorothy, a member of the city’s NAACP Youth Council and one of the students who desegregated Louisiana State University in New Orleans. In 1960, Smith-Simmons became an early and active member of the New Orleans chapter of CORE and was jailed several times, participating in sit-ins, picketing, and other nonviolent direct action. During the Freedom Rides of 1961, she was a trainer for Freedom Riders leaving New Orleans for Jackson, Mississippi. After the Interstate Commerce Commission ruled in September 1961 to abolish segregation in interstate travel, Smith-Simmons became a tester and traveled to McComb, Mississippi. She and fellow testers were beaten in Poplarville, Mississippi, and three of the testers were arrested and jailed. In addition to her pivotal work in the civil rights movement, Smith-Simmons has also contributed to the cultural fabric of New Orleans as a founding member of the New Orleans Jazz & Heritage Festival. She currently spends her time speaking about her involvement with New Orleans CORE and the civil rights movement. All Dream Week events are open to the public and most are free. Centenary students can earn Passport Points at several events. The full schedule is available at centenary.edu/dreamweek.